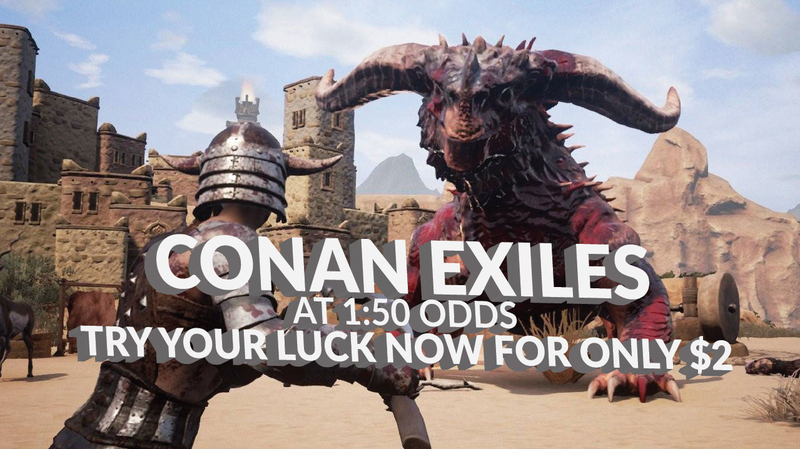 Conan Exiles joins our lineup! Conan Exiles is this years next big open world survival game and it's been getting rave reviews! We're happy to add it to our 1:50 pool for only $2 and the Prestige pool for only $10. Conan Exiles is just the latest game to join our stellar lineup. You could also walk away with Far Cry 5 or even Assassin's Creed: Origins.